Your Legacy is out there. Ride your way into it on the all-new Indian® Springfield™. 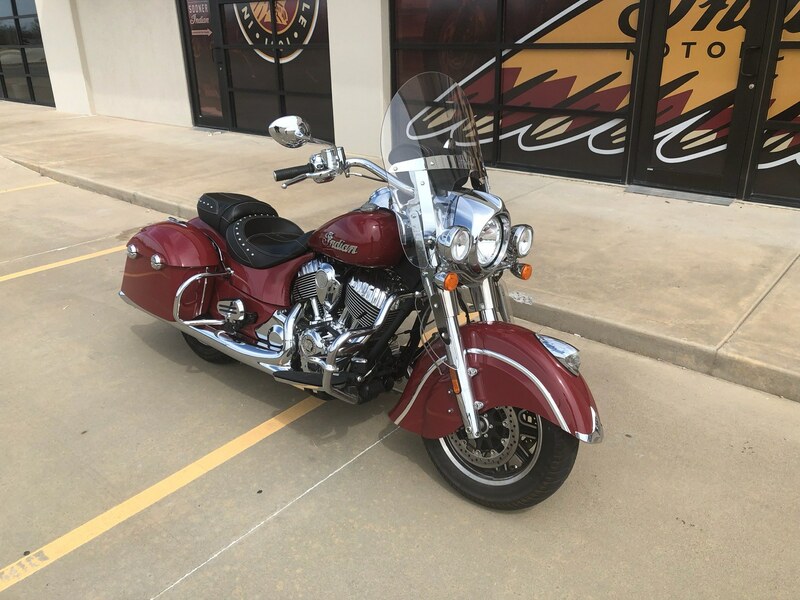 Named after the birthplace of Indian Motorcycle® and designed for a pure riding experience, the Indian Springfield™ features a traditional style, quick-release windshield and all-weather, remote-locking saddlebags. It’s equipped with the most essential touring features but designed for ultimate versatility. 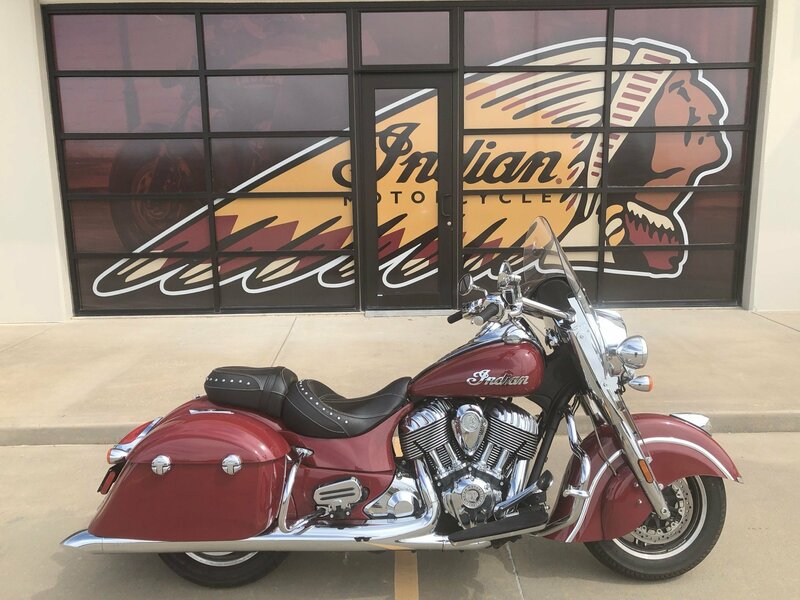 The all-new purpose built chassis delivers unmatched handling and balance even when fully loaded with authentic Indian Motorcycle accessories. TRUNK-COMPATIBLE TOURING CHASSIS: The Indian Springfield™ is equipped with the most essential touring features, including a trunk-compatible chassis that allows for enhanced passenger comfort and storage. 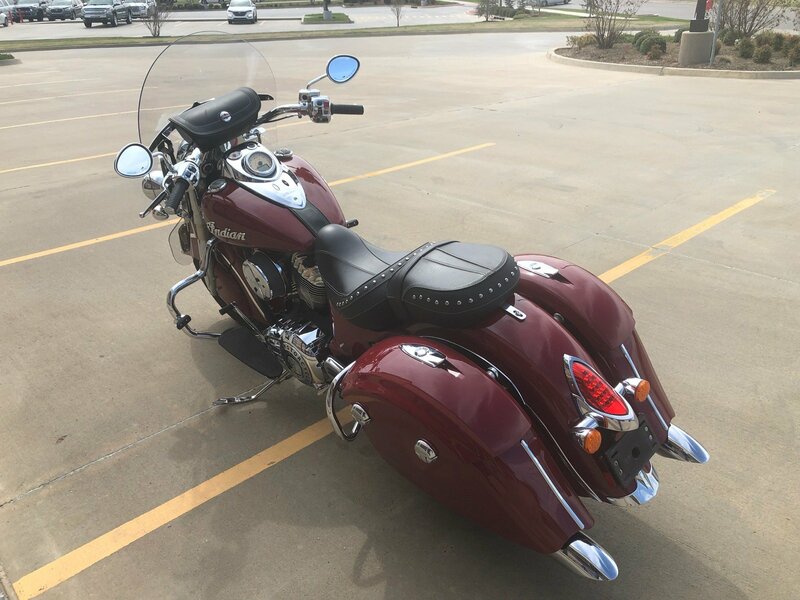 HARD SADDLEBAGS: Your cargo is protected inside convenient, spacious hard saddlebags that have lockable lids with weatherproof seals. The lids can be locked electronically using a console-mounted button or the bike’s key fob. NEW CHASSIS DESIGN: A unique chassis with a 25° rake delivers unmatched handling and balance even when fully loaded. 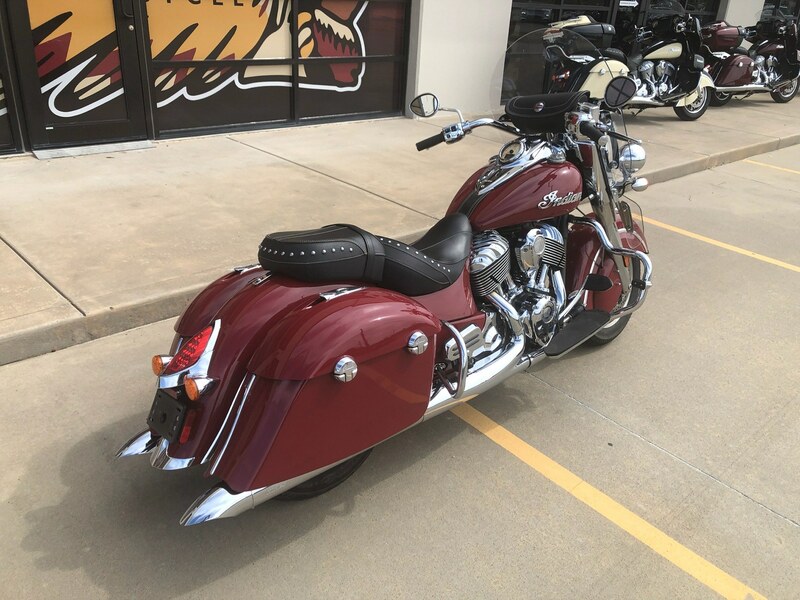 Without the added weight of a fairing, the Indian Springfield™ can carve corners like no other bike in its class. ABS: The Indian Springfield™ has advanced features that optimize the riding experience. With automotive-quality ABS braking, you ride with confidence that you’ll brake under control. CHROME HEADDRESS: It’s the most powerful visual icon in motorcycling. 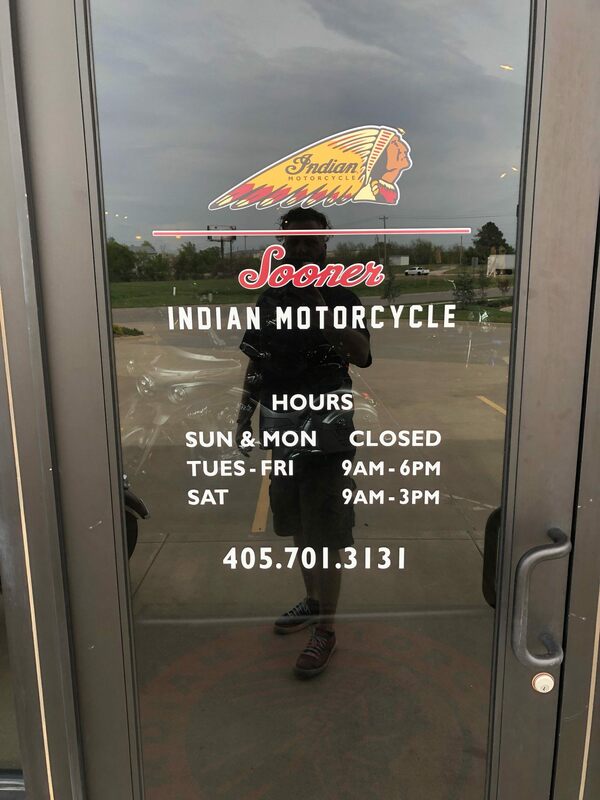 Since 1947, this illuminated Headdress has graced the front fender of nearly every Indian Motorcycle, showing the way on the open road. 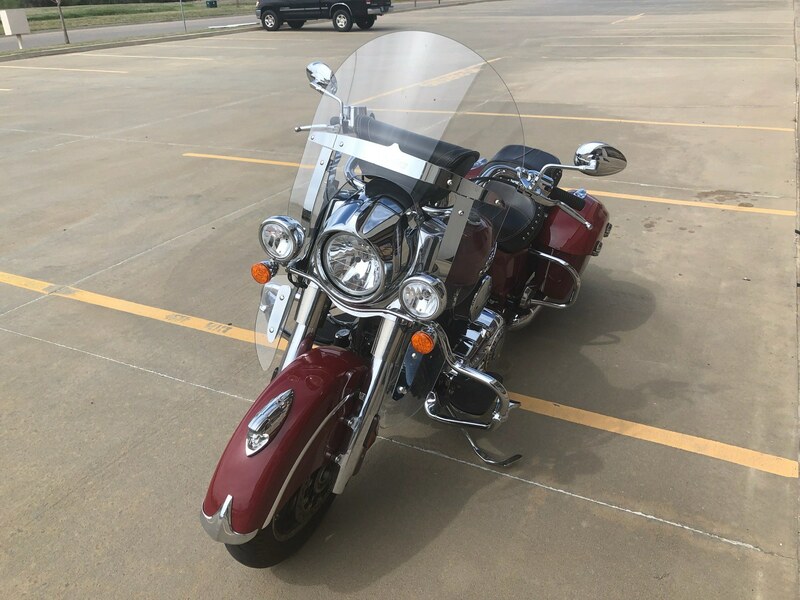 QUICK-RELEASE WINDSHIELD: This stylish windshield provides outstanding wind and weather protection to make every ride more comfortable. With Quick-Release technology, it can be installed or removed in less than a minute with no tools. INTERNALLY WIRED HANDLEBARS: This high-profile area features a new handlebar design with all-chrome hand controls. Plus, all of the wiring is routed inside the handlebars for a clean, premium-quality look. 119 FT-LBS OF TORQUE: The Thunder Stroke® 111 produces 119 ft-lbs of torque with tremendous power at low RPM. You can accelerate hard with power to spare in every gear. CHROME HAND CONTROLS: Chrome comes standard, and you’ll find it from fender to fender on the Indian Springfield™. MODERN YET TIMELESS INSTRUMENT PANEL: This heritage-inspired instrument panel has been brought forward into the 21st century while maintaining its timeless style. KEYLESS IGNITION: Never fumble with a key again. With the proximity key fob in your pocket, just climb on, start it up and ride away. Misplace the fob? Just enter your personal security code and ride on. CRUISE CONTROL: The Indian Springfield™ has advanced features that optimize the riding experience. Automotive-quality cruise control is easy to set and adjust for smooth, relaxed highway cruising. PREMIUM GENUINE LEATHER: This cushioned, 2-up seat features premium grade genuine leather that has been treated to withstand the elements and retain its natural beauty. Unique to Springfield, stud and stitch details complete its look. 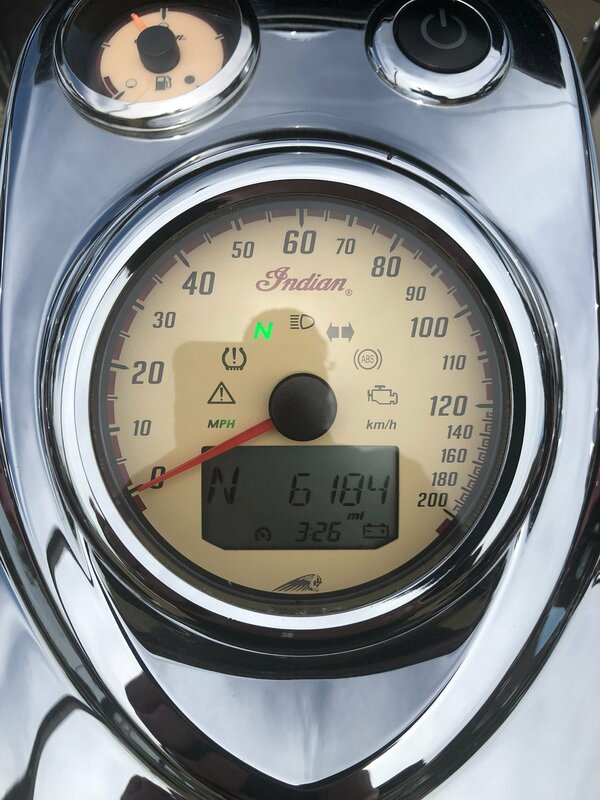 INDIAN MOTORCYCLE® BADGING: The badging on the Indian Springfield™ is powerful, stylish and iconic. Since 1901, Indian Motorcycle has stood for the ultimate in power, performance and style. CAST ALUMINUM FRAME: The Springfield's cast aluminum frame is lightweight yet exceptionally strong. It provides excellent low-speed handling and confidence-inspiring stability at highway cruising speeds.